James has extensive experience coaching in the RMR region, and we are excited to welcome him back to FRVBC for the 2019 season as Assistant Coach of the 17-1 Silver team. Before returning to Front Range this season, James spent the last three years as the lead Coach at 303 VBC. 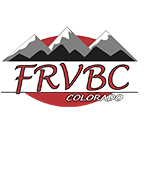 James was the Head Coach of 16 Blue at Front Range Volleyball Club and the Lead Coach for the 16’s and 15’s from 2000 – 2014. James was the assistant coach at University of Colorado in 2009 – 2010. He has coached his to team to the Finals in Open Division at AAU’s twice, placed 5th at JO’s twice, won gold at Multiple Qualifiers. In 2005 he coached his team to a Gold Medal in 16 Open at JO’s and Bronze at AAU’s. For two summers, James coached USAV High Performance camps in Dallas, TX. Louisville, KY and San Francisco. During the summer of 1999 – 2000 served as a Head Coach in the USA A2 program, where he worked with college athletes in a National Team development program. James was the Head Coach for Colorado Christian University for one season and was named RMAC Coach of the Year and team finished 15th in the country in Division II in 1998. James was the First Assistant for the Colorado Thunder Women’s Professional Team.